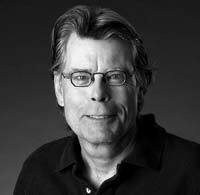 Stephen King is famously known as the King of Horror. His novels are a proliferation of his time as a teenager and the hardship of being brought up by a single mother. Born on September 21, 1947, in Maine, Stephen was considered a surprise child by the parents who had been told they would never have another baby. In his early age, the parents separated and he and his brother David were brought up by a single mother who worked for paltry wages. Stephen and his older brother lived a life of hopping back and forth between Maine and Massachusetts. In 1959, his interest for writing surfaced when he first wrote an impressive piece in his brother’s local paper titled Dave’s Rag. Stephen attended grammar school in Durham and then graduated from Lisbon Falls High School in 1966. Although his writing was much more profound in science fiction, he got more thrilled in writing horror stories when he first encountered horror magazines and old science fiction books in his aunt’s house. Additionally, authors like Howard Philip Lovecraft, Jack Finney, and Robert Bloch were a fundamental inspiration in the discovery of his talent in horror writing. After graduating from high school, King made a great debut in his professional career when Startling Mysteries Stories accepted his piece dubbed the The Glass Floor. He then joined the University of Maine in Ororo to pursue a degree in English, but he still did not abandon writing. He still wrote a weekly article for the campus and also served in student politics. It is at this period that he met Tabitha Spruce and married her in January 1971, right after his graduation. Stephen began work at an industrial laundry, but still wrote part time to supplement his income. Most of his stories sold in the men’s magazine collection and other anthologies. In the fall of the year 1971, he landed himself a job as a tutor for English at Hampden Academy, but he still wrote short stories on the weekends and the evenings. At the same time he began to hint on writing novels. On May 12, 1973, a phone call from Doubleday & Co. forever changed King’s way of life. They had accepted to publish the novel termed Carrie for $400,000, of which Stephen’s cut would be half. This amplified his passion for writing and he had his liberty to leave teaching and start writing full time. The second novel was Salem’s Lot, which was enough for him to make his mark as a horror writer. The Shining soon followed suit and was based on a hotel King had visited with his wife on a vacation away from the kids. This novel cemented him as a horror genius. He further joined NAL (Vikings) print house and left Doubleday because he discovered they had a better way of printing alluring covers as seen in his book The Dead Zone. To date, King has published more than 30 novels and over 100 million copies in paperback. Furthermore, he has also won a number of accolades, including the Vision Award in 2001. Ironically, even though he may be regarded as a fearsome writer, he has a great weakness in terror itself. He fears death, darkness, rats, snakes, deformity, insects, closed-in-places and squishy things.